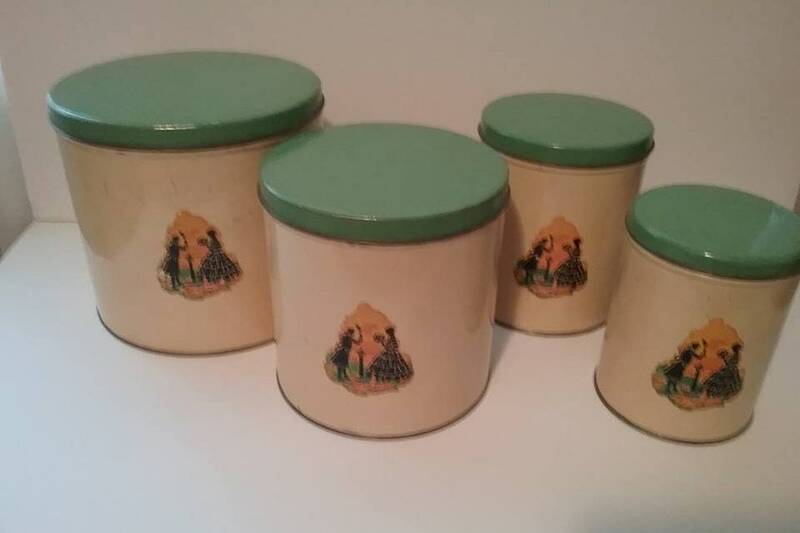 1930s/40s Tin and Enamel Canister Set, Green and gold, shabby chic. 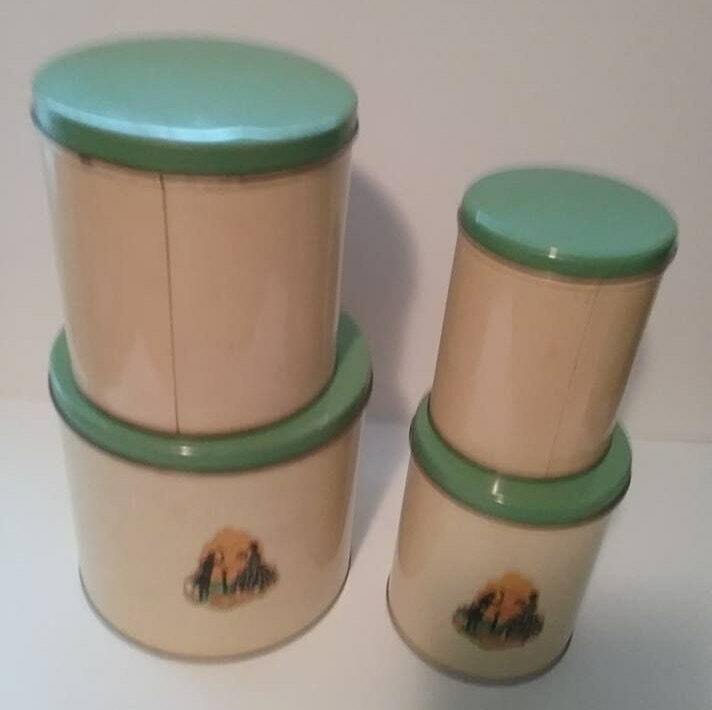 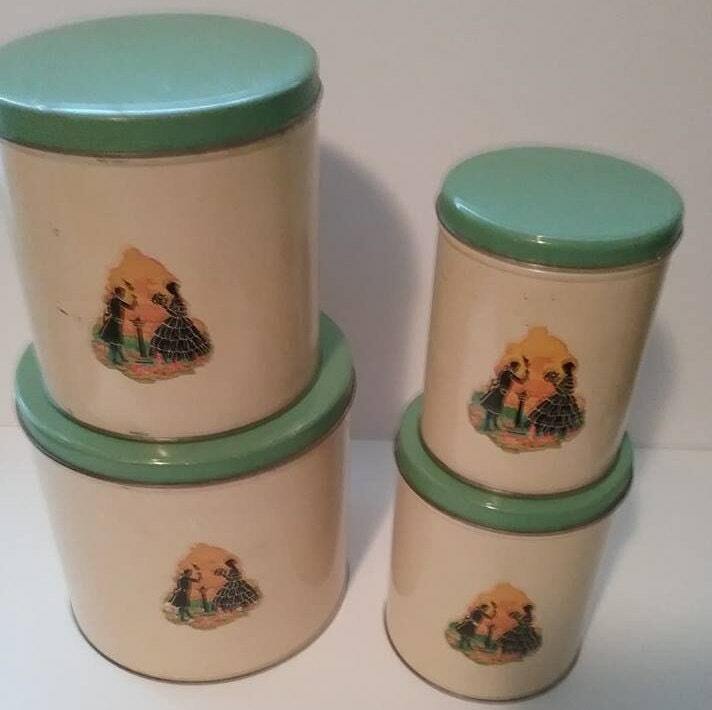 This 1930/40's set is enamel and sports a unique silhouette of a courting couple on each canister. 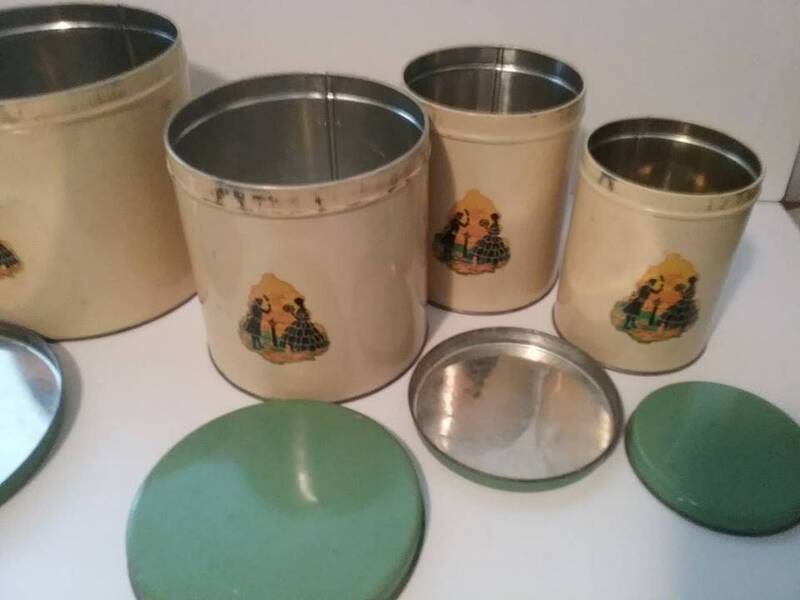 The canisters stack within themselves, that is, they all fit in order to the largest tin. 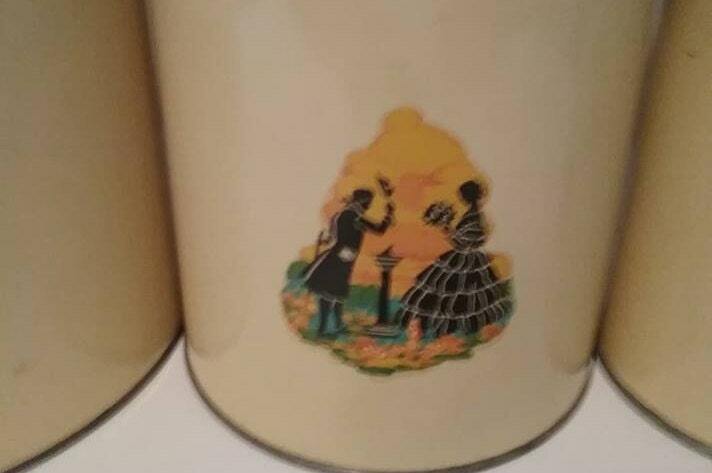 Approx measurements are as follows: Largest - 7.5" diameter x 7" height. 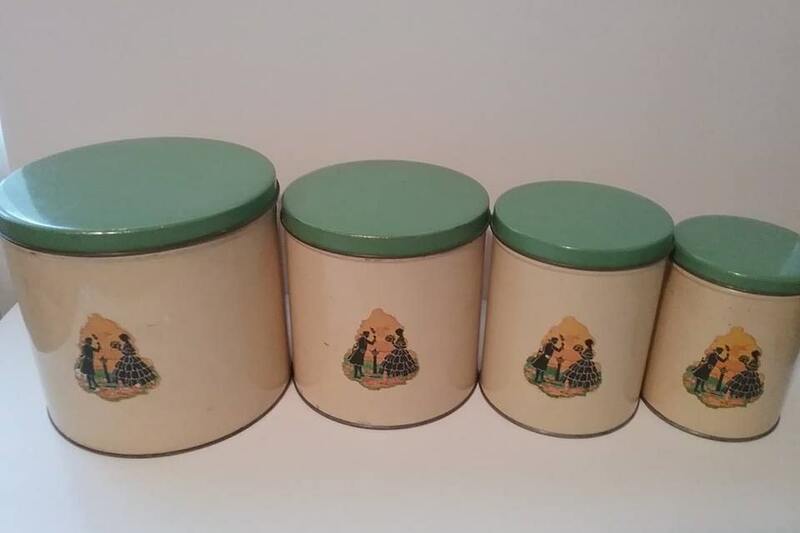 second largest - 6.25" x6.5", second smallest - 5" x 6.6" and the smallest - 4.5" x 5.5". 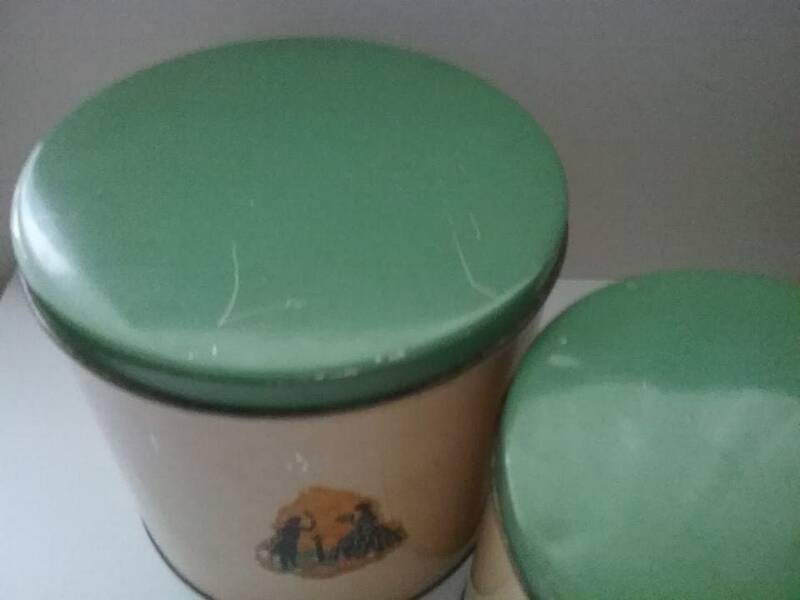 Due to the age and regular use, there is some metal oxidation/minor rust, and some scratches, that can be seen in the pictures. 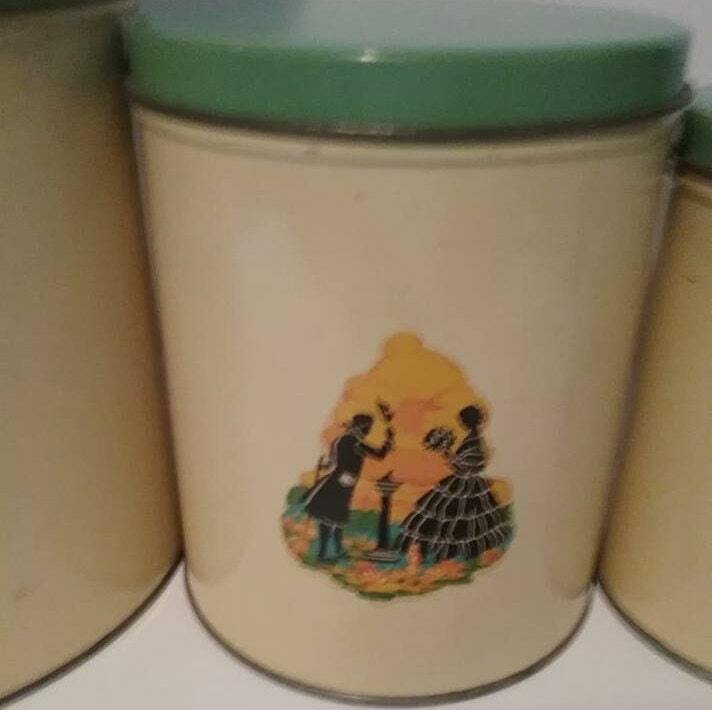 Otherwise, they are in good vintage condition and are a lovely display in any vintage kitchen. 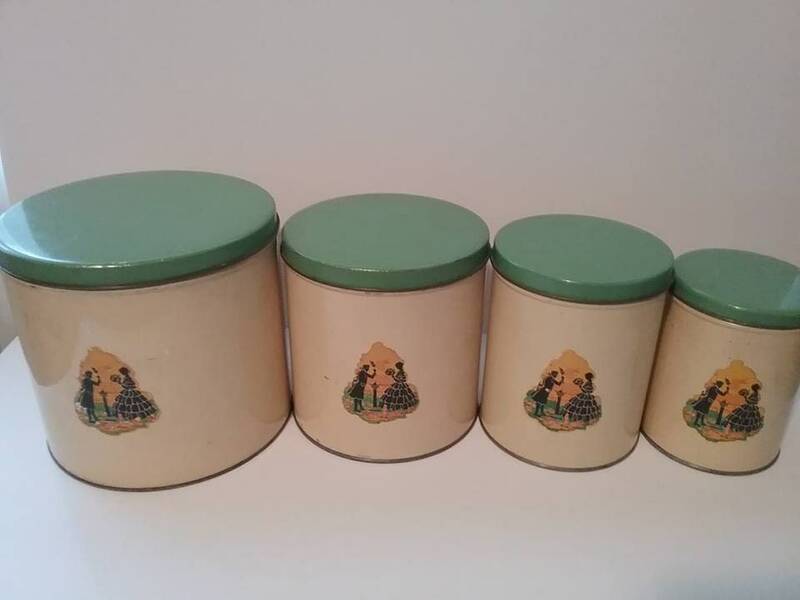 A very lovely display on your counter, or use for storage....everyone will want to know where you got them from!